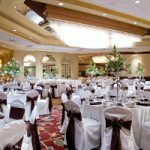 In recent years, owners and operators of Wedding and Banquet Hall Facilities have seen their Business Insurance rates sky-rocket. A careful review of the policies will also show a decline in coverage. Banquet Hall insurance is fast getting to be a difficult to place line of coverage due to the high number of claims. This includes coverage for convention hall facilities, wedding halls, and other public venues. Banquet halls, wedding halls, and other public venues are historically a loss for most liability carriers, due the large number of attendees. Live music, dance floors, and alcohol, are a perfect setting for increased slip and fall claims. As a result, many established admitted carriers are either exiting the market place, or being very selective in their criteria with bare bones and limited coverage being offered. Banquet Hall owners struggle to find competitive and comprehensive insurance at affordable rates. resulting in limited coverage options for owners and operators. Unfortunately for business owners, these shortcomings only become apparent after an insurance claim is denied. With the limited number of carriers, coverage for General Liability, Liquor Liability, and Umbrella are often placed amongst different carriers. Care must be taken to ensure these policies are compatible with each other and do not have language excluding overlapping coverage. At Higginbotham Insurance, we perform a careful and thorough analysis of your business operation, and negotiate Insurance Policies specific to your company. Higginbotham offers unique services to high touch clients. A key service is our Claims Management process. Our Claims Handling department works independently from the insurance carrier, and assists to close claims for speedy resolution. Our Loss Control Prevention team offers a top down inspection of the facility, highlighting potential loss areas for safety concerns. Some venues are now requiring guests to purchase their own Wedding Liability Insurance in an effort to transfer risk. While this might be a tempting alternative to the facility, it does leave the facility significantly exposed, as insurance is not purchased in their own name. Call us today at 281-612-5974 for your FREE Risk Analysis and learn more of our unique blend of services.